Sherman's Resort offers great Curtis MI Lakeside Camping. Your campground stay includes water, electric, bathhouse, dump station, picnic table, fire pit, sandy beach. 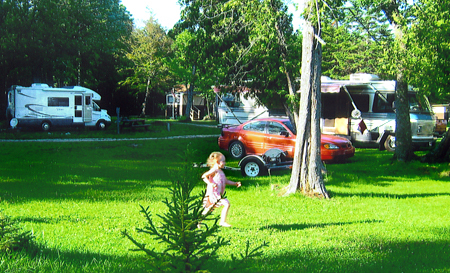 Our Campground has a variety of sites and can accommodate campers who are tenting all the up to guests with 40 foot RVs. 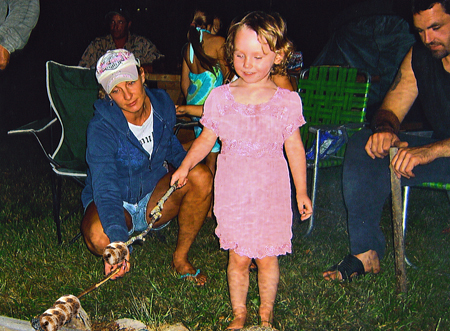 Camping at our Upper Peninsula Campgrounds is a great way to relax with the family and friends. Our Upper Peninsula Campgrounds is situated along South Manistique Lake, nestled in the woods along the back bay and also has a campground dock. It is the perfect place to relax with family and friends. Our Curtis MI Lakeside Campground includes water, electric, bathhouse, dump station, picnic table, fire pit, and a sandy beach. Our Campground has a variety of sites and can accommodate campers who are tenting all the up to guests with 40 foot RVs. Bring your family and friends and take a boat out for some great fishing on South Manistique Lake. 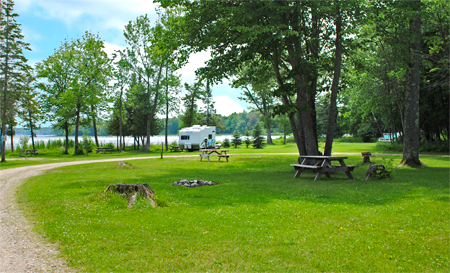 Sherman's Resort Campgrounds also offers 20 amp service and beautiful setting with lake views. Campers are welcomed to use the volleyball nets, playground, fish house, bathrooms, and showers. Guests can go out on this beautiful lake and catch your prize trophy or your evening meal. Take a Vacation & Make It An Adventure. Swim, boat, jet ski, water ski, relax by the lake, cook out, and sit beside a crackling camp fire. We also offer lodging through all our hunting and fishing seasons. We are surrounded by some of the best hunting land in the Upper Peninsula. Migratory bird season is great for duck hunters who want to lodge were the action is, since lodging and camping at Sherman's Resort puts you right on the lake. Call and make your reservations today!